Active vacation abundant in experience in a horse saddle. The most beautiful view of the world is from a horseback. In the heart of Liptov, on the foothills of West Tatras Mountains. 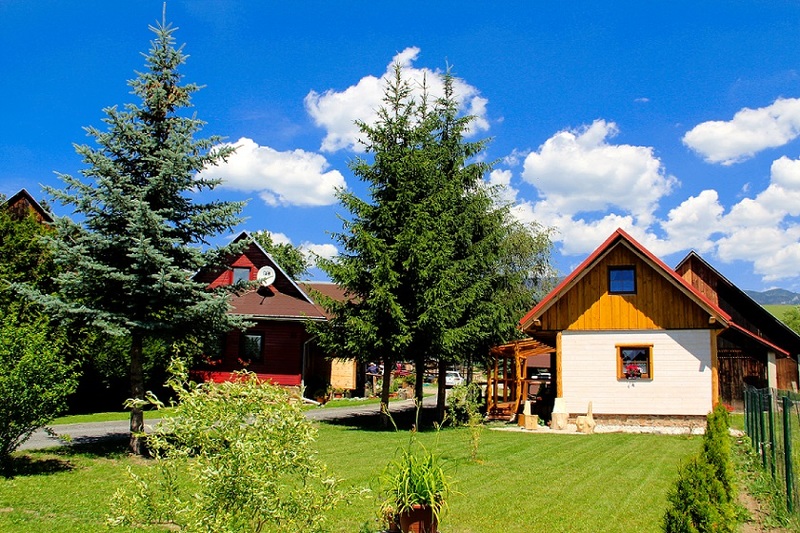 We are a small family ranch located at the foothills of West Tatras Mountains. We specialize in breeding horses for tourist riding and we provide accommodation to our guests. 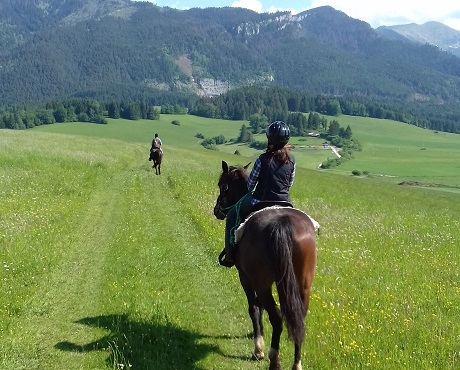 Our ranch offers active vacation by getting to know one of the most beautiful regions in Slovakia, the Liptov region. In the heart of Liptov. Furniture made of solid wood. Almost 50% of Liptov’s area is covered with woods. The region has many mineral water wells and hot mineral springs often sought after by tourists. These springs are located in the villages of Bešeňová, Likavka, Kvačany, Žiar, Pribylina, or Liptovský Ján. Liptov attracts tourists also thanks to its mountains that surround it from all sides, providing the tourist with the opportunity for short as well as longer hikes. Liptov is a place where you can spend an active vacation throughout the year. You will find here numerous cultural monuments, natural beauties, adrenaline and sport attractions and activities, as well as relax. Wood is a unique material that enables us to have a piece of nature present in our homes. No other material is as deeply rooted in the history and culture of human kind. Moreover, each furniture piece from our woodshop is unique.